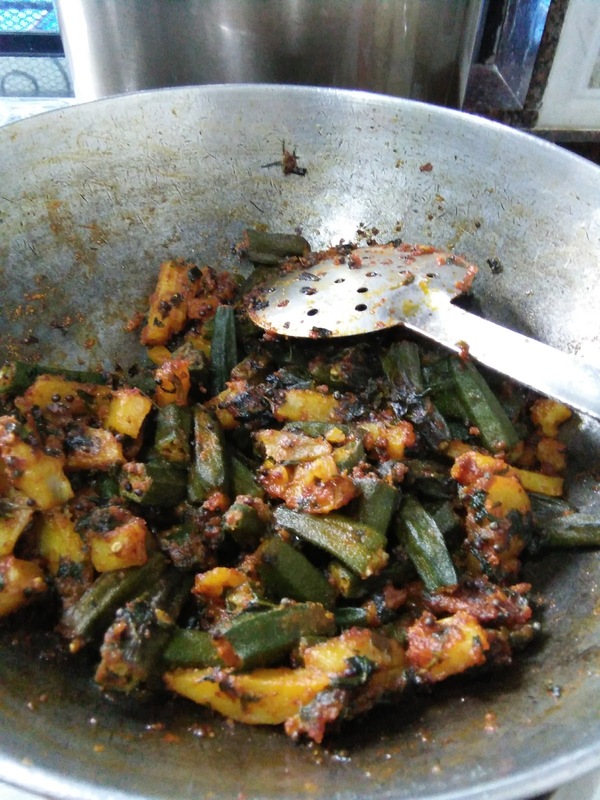 First take a bowl, add potato, bhindi, and methi. Keep this bowl in a oven for 2 minutes, this help us to use less oil for the subji. After 2 minutes remove from the oven. Then take a kadai, add 2 tsp of oil. Wait for a second, when the oil becomes hot, add cumin seeds. When its pop, add all dry masalas in the oil and mix well, then add subji to that. Stir well and close with a lid. Keep the flame low and cook for 10 minutes . The subji will turn crisp and nice aroma will come. Remove from the gas. Your tasty sukka dry subji is ready. 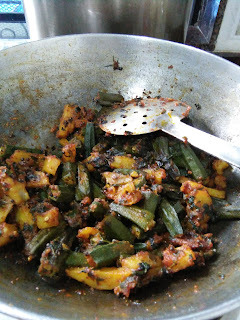 Serve with roti and rice as a side dish.